Apple Music is compatible with iOS devices running version 8.4 or later, iTunes version 12.2 or later (OS X Mavericks or later; Windows 7 or later), and the Apple Watch. Google Drive starts you off with 15 GB of free Google online storage, so you can keep photos, stories, designs, drawings, recordings, videos - anything. And you can use Google Drive on your smartphone, tablet or computer. So wherever you go, your files follow. Apple Music from iTunes are DRM protected, and you can't freely upload the Apple Music files to Google Drive directly unless you remove the DRM from Apple Music and convert Apple Music M4P to MP3. Here recommend you a powerful iTunes music DRM Removal - Macsome iTunes Converter, which does well in removing DRM from Apple Music and iTunes Match and convert Apple Music to MP3 and upload them to Google Drive. There are 1-2-3-4 steps to convert Apple Music to MP3, and then you can enjoy the MP3 files on your Google Drive as you like. Step 1. Free download the latest version of Macsome iTunes Converter, and follow the instruction to install it. After the installation, just open and launch it. Step 2. 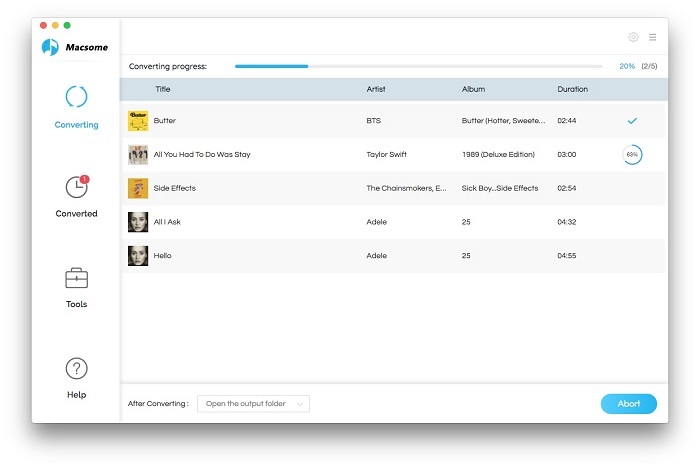 Click Add button and choose the Music library playlist and add the files you want to convert. Step 3. 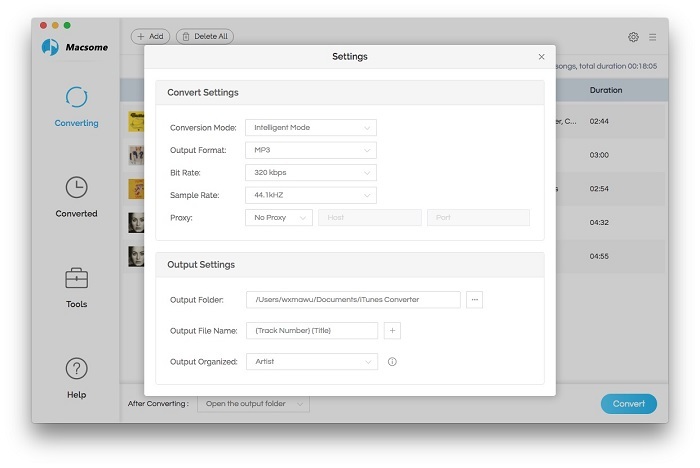 Click Macsome iTunes Converter Menu, and in the drop-down list, choose Preferences to set the output format. Step 4. 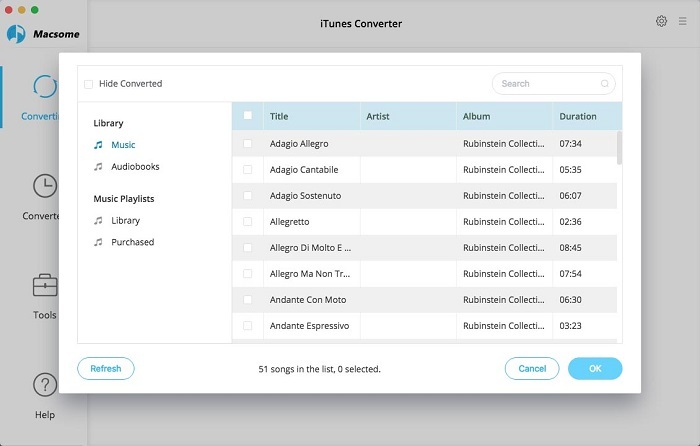 Click CONVERT button to start removing DRM from Apple Music and converting Apple Music to MP3. When the conversion is completed, all the converted music files are free without DRM, and you can play them anywhere as you like. Warning: Macsome iTunes Converter is a shareware, which supports a trial version, which can only convert 3 minutes each file. If you want to remove the limitation, purchase a full version of Macsome iTunes Converter. You will love it. In addition to a website, Google Drive offers apps with offline capabilities for Windows and macOS computers, and Android and iOS smartphones and tablets. Google Drive encompasses Google Docs, Sheets and Slides, an office suite that permits collaborative editing of documents, spreadsheets, presentations, drawings, forms, and more. Files created and edited through the office suite are saved in Google Drive.